This state was part of the original 13 American / British colonies and has a very long history. Many different ethnic groups eventually settled in the colony of Pennsylvania. Even after it was a state, it was home to millions of people, many may have been your ancestors. 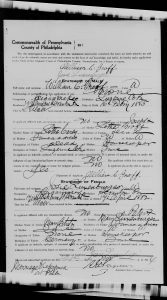 FamilySearch.org site (free to use) has 1.1 million images covering 1677 to 1950 for civil (not church performed) wedding in Pennsylvania, especially in the large city of Philadelphia. 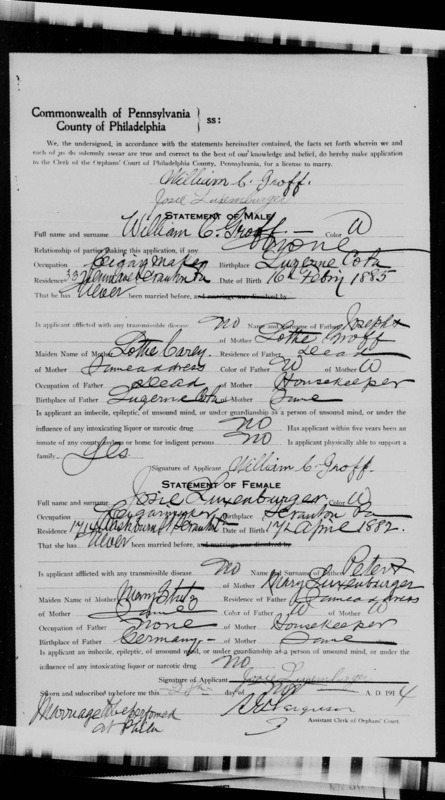 The images are from city and county marriage records in Pennsylvania. Many of these weddings took place at city hall. Place a full name or start with an unusual surname. Using the name ‘Musselman’ there were 125 listings. 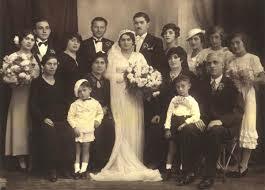 The image record provides the bride and grooms’ names, who married them, when and where. You can enlarge the image and download it to keep with your records. Besides Philadelphia County, others available include: Allegheny, Bucks, Lancaster, Lehigh, Luzerne, and Montgomery. So if you had any ancestors from those areas or even those one or two counties away who might have married in one listed, you need to research using this database. What is especially good is that any name on that record, such as a father / brother/ friend / mother will also be a selection if you put in the name in the search. So good on locating not just a bride and groom but other family members such as the parents for both. The search will also help with any various spellings for a name, so review all the selections presented. 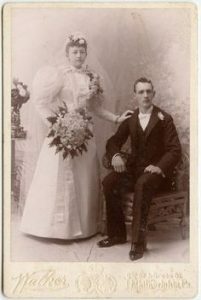 Photos: Bride and Groom in PA in 1899; June 1903 marriage of Samuel Musselman and Minerva Landis; November 1914 wedding of William C. Groff and Josie Luxenberger; and wedding party in 1930.